Recoverworld is back to banish those festive hangovers! Lashings of psytek, psy-trance and tech-trance will help you to see in the New Year, with pulsating beats and grinding top lines. 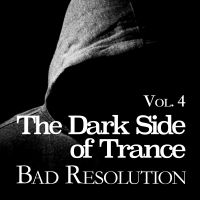 All the usual suspects are included, on this 15 track extravaganza of darkness. As we always say here at Recoverworld Towers, its always better to burn out, than fade away!